Sitting for long periods increases risk of disease and early death, regardless of exercise — ScienceDaily. The amount of time a person sits during the day is associated with a higher risk of heart disease, diabetes, cancer, and death, regardless of regular exercise, according to a review study. The amount of time a person sits during the day is associated with a higher risk of heart disease, diabetes, cancer, and death, regardless of regular exercise. The authors found the negative effects of sitting time on health, however, are more pronounced among those who do little or no exercise than among those who participate in higher amounts of exercise. NEW ORLEANS (November 4, 2014)–Across a broad swath of the southern United States, residents face a tangible but mostly unrecognized risk of contracting Chagas disease–a stealthy parasitic infection that can lead to severe heart disease and death–according to new research presented today at the American Society of Tropical Medicine and Hygiene (ASTMH) Annual Meeting. Chagas disease (American trypanosomiasis) is typically spread to people through the feces of blood-sucking triatomine bugs sometimes called “kissing bugs” because they feed on people’s faces during the night. The disease, which can also be spread through blood supply, affects 7 to 8 million people worldwide and can be cured–if it is caught early. Often considered a problem only in Mexico, Central America and South America, Chagas disease is being seen in Texas and recognized at higher levels than previously believed, reported researchers from Baylor College of Medicine in Houston. Among those infected are a high percentage believed to have contracted the disease within the U.S. border, according to the scientists whose findings will also be published in the American Journal of Tropical Medicine and Hygiene. In the United States, most physicians are unfamiliar with the disease, and some who have heard of it mistakenly dismiss Chagas disease as a not-so-serious health concern, even in parts of the country where many people may be living with Chagas symptoms, she said at an ASTMH presentation on access to treatment. Further complicating the situation, in the United States the currently available medicines used to treat Chagas disease have not been approved by the U.S. Food and Drug Administration. Physicians seeking treatment for their patients are referred to the CDC, which makes two drugs–nifurtimox and benznidazole–available, both of which carry the risk of side effects including nausea, weight loss and possible nerve damage. ASTMH, founded in 1903, is a worldwide organization of scientists, clinicians and program professionals whose mission is to promote global health through the prevention and control of infectious and other diseases that disproportionately afflict the global poor. 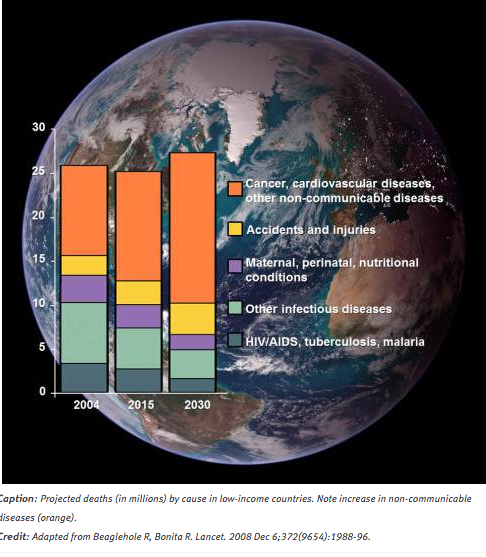 …While infectious diseases remain a significant problem in the developing world, cancer, heart disease, obesity, diabetes, and other non-communicable diseases are now among the fastest growing causes of death and disability around the globe. In fact, nearly three-quarters of the 38 million people who died of chronic diseases in 2012 lived in low- or middle-income countries . 1961 was the year of the first recommendation from the nutrition committee on the American Heart Association that people should eat less fat, in particular saturated fat, in order to reduce heart disease. This came from a Dr. Ancel Keyes, who built his career on this theory. He was a highly persuasive man who obtained a seat on the committee. America was struggling with rising heart disease at the time and people wanted answers. Where was his proof? He had done a “Seven Countries” study that was considered the most thorough study on the link between heart disease and food. For this study he picked countries that were likely to support his theory, such as Yugoslavia, Finland and Italy. He ignored France, Switzerland, West Germany and Sweden, countries with high-fat diets and low rates of heart disease. So, Now Bacon Is Good for You? Despite the fact that heart disease is the leading cause of death for both men and women in the U.S., about three-quarters (74 percent) of Americans do not fear dying from it, according to a recent survey. Despite the fact that heart disease is the leading cause of death for both men and women in the U.S., about three-quarters (74 percent) of Americans do not fear dying from it, according to a recent survey from Cleveland Clinic. Conducted as part of its “Love Your Heart” consumer education campaign in celebration of Heart Month, the survey found that Americans are largely misinformed about heart disease prevention and symptoms, and almost a third (32 percent) of them are not taking any proactive steps to prevent it. Even among those Americans with a family history of the disease (39 percent), who are at a significantly higher risk, 26 percent do not take any preventative steps to protect their heart health, according to the survey. Perhaps even more concerning is that the majority (70 percent) of Americans are unaware of all the symptoms of heart disease, even though two out of three (64 percent) have or know someone who has the disease. Only 30 percent of Americans correctly identified unusual fatigue, sleep disturbances and jaw pain as all being signs of heart disease — just a few of the symptoms that can manifest. 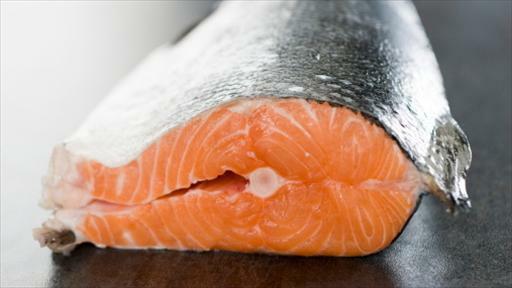 Many Americans believe the myth that fish oil can prevent heart disease. Vitamins are viewed — mistakenly — as a key to heart disease prevention. There is a lack of awareness about secret sodium sources. Americans believe there is a heart disease gene. There is no single way to prevent heart disease, given that every person is different,” Dr. Nissen added. and know your family history. Why Do People Still Die Of Heart Disease? Adults should consume less than 2,000 mg of sodium, or 5 grams of salt, and at least 3,510 mg of potassium per day, according to new guidelines issued by the WHO. On a related note, I’ve started collecting vegetarian recipes and posting them online here and also here. This Lent the goal is to eat vegetarian, with the savings going to CFCA (Christian Foundation for Children and Aging). I sponsor Betsy, who lives in Monrovia, Liberia. She is now in 12th grade at age 20. It has been a long haul for her, and I am so very, very proud of her! Heart disease is the single largest cause of death in developed countries, and is responsible for 65,000 deaths each year in the UK alone. The new findings, published in the American Journal of Clinical Nutrition, suggest that a vegetarian diet could significantly reduce people’s risk of heart disease. ‘Most of the difference in risk is probably caused by effects on cholesterol and blood pressure, and shows the important role of diet in the prevention of heart disease,’ explains Dr Francesca Crowe, lead author of the study at the Cancer Epidemiology Unit, University of Oxford. If you think working overtime, skipping your lunch hour and staying chained to your desk will make you more productive, you need to cut yourself some slack and take a break.Working non-stop without taking a break can increase your chances of weight gain, heart disease and worse. Staring at a computer screen for more than 2 hours per day can cause Computer Vision Syndrome, a real affliction, which causes blurry vision, headaches, dry eyes and can lead to long-term nearsightedness. However, getting up and away from your desk for just 5 minutes can alleviate eye strain and reduce fatigue in addition to making you feel better. The mere act of standing at your desk instead of sitting at it can help you burn up to 2500 calories per week. Not bad for just standing around.Work hard and break hard; doing so will make you a healthier, happier and more productive employee. Take A Break by LearnStuff.com is licensed under a Creative Commons Attribution-NonCommercial-NoDerivs 3.0 Unported License. Based on a work at http://www.learnstuff.com/take-a-break/. Yes, this is just anecdotal, but I believe there is more to this than an either/or debate. My husband took high blood pressure medicine for years. And he often complained about the stress at work. 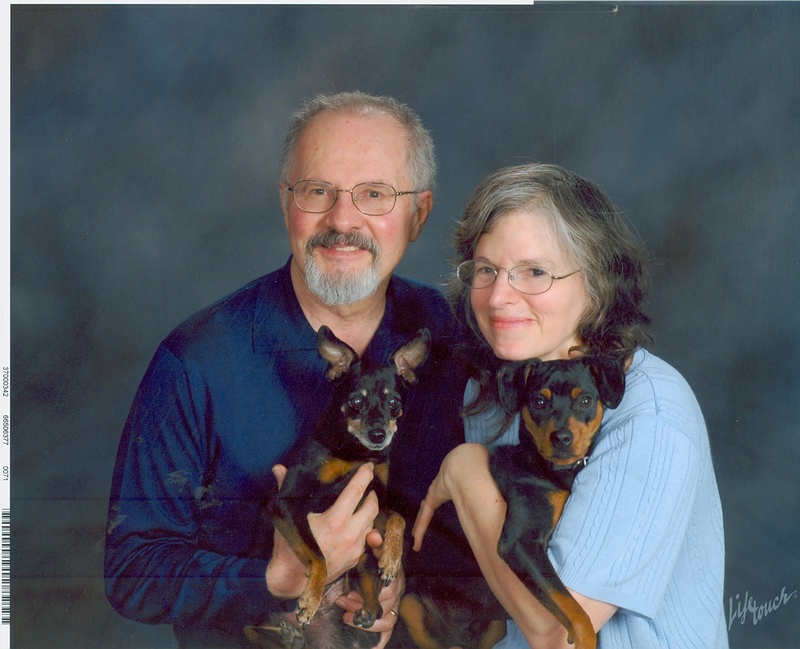 Within a month of changing jobs to an organization that was less stressful, his blood pressure went down and he no longer needed the blood pressure medication. Some bad news for workers facing stress on the job and elsewhere in their life, suggested by 2 studies published this week: stress may contribute to an increased risk of heart disease and may impair short-term memory. Stress may also impair an individual’s performance, a study published in PLOS Computational Biology suggests. The researchers found that exposure of rats to stress in the form of blasts of sound alter the firing of neurons in the prefrontal cortex. These changes in firing impair the ability of rats to retain short-term memory, hampering their performance in a maze task. Animals under stress completed the task only about 65% of the time compared with 90% of the unstressed rats. Work stress, job satisfaction and health problems due to high stress have more to do with genes than you might think, according to research by Timothy Judge, professor of management at the University of Notre Dame’s Mendoza College of Business. This information has been published two days after a separate study suggesting that work stress increases an employee’s risk of heart attack by 23%. The lead author of “Genetic influences on core self-evaluations, job satisfaction, work stress, and employee health: A behavioral genetics mediated model,” published inOrganizational Behavior and Human Decision Processes, Judge studied nearly 600 twins – some identical, some fraternal – who were raised together and reared apart. He found that being raised in the same environment had very little effect on personality, stress and health. Shared genes turned out to be about four times as important as shared environment. 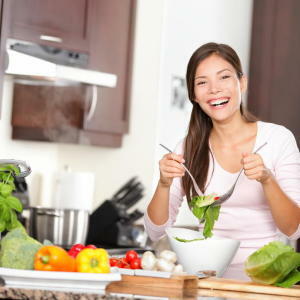 While much focus has been on fighting inflammation with drugs, researchers are getting a better understanding of the links connecting diet, inflammation and illness and discovering ways that foods can help keep inflammation in check. Laura Landro has details on Lunch Break. Until recently, it seemed well-established that high-density lipoprotein (HDL) is the “good cholesterol.” However there are many unanswered questions on whether raising someone’s HDL can prevent coronary heart disease, and on whether or not HDL still matters. A team of researchers at Brigham and Women’s Hospital (BWH), the University of Pittsburgh Graduate School of Public Health (GSPH) and other institutions, have discovered that measuring HDL particles (HDL-P) as opposed to HDL cholesterol (HDL-C) is a much better indicator of coronary heart disease (CHD), and that HDL does indeed, still matter. It appears that in some cases, high-density lipoprotein (HDL) cholesterol, the so-called “good” cholesterol, does not protect againstheart disease, and may even be harmful. A new study suggests a subclass of HDL that carries a particular protein is bad for the heart. Previous studies have shown that high levels of HDL cholesterol are strongly linked to low risk of heart disease. But trials where people have been given drugs to increase their levels of HDL cholesterol have yielded inconsistent results: leading to the idea that HDL cholesterol may actually have protective and non-protective elements. Now, researchers at the Harvard School of Public Health (HSPH) have found that when the surface of HDL cholesterol bears a small protein called apolipoprotein C-III (apoC-III), there is an increase in the risk of heart disease, and when it is absent, HDL cholesterol is especially heart protective…. Despite popular belief, gum disease hasn’t been proven to cause atherosclerotic heart disease or stroke, and treating gum disease hasn’t been proven to prevent heart disease or stroke, according to a new scientific statement published in Circulation, an American Heart Association journal. Keeping teeth and gums healthy is important for your overall health. However, an American Heart Association expert committee — made up of cardiologists, dentists and infectious diseases specialists — found no conclusive scientific evidence that gum disease, also known as periodontal disease, causes or increases the rates of cardiovascular diseases. Current data don’t indicate whether regular brushing and flossing or treatment of gum disease can cut the incidence of atherosclerosis, the narrowing of the arteries that can cause heart attacks and strokes. Observational studies have noted associations between gum disease and cardiovascular disease, but the 500 journal articles and studies reviewed by the committee didn’t confirm a causative link. Gum disease and cardiovascular disease both produce markers of inflammation such as C-reactive protein, and share other common risk factors as well, including cigarette smoking, age and diabetes mellitus . These common factors may help explain why diseases of the blood vessels and mouth occur in tandem. Although several studies appeared to show a stronger relationship between these diseases, in those studies researchers didn’t account for the risk factors common to both diseases…. Statements that imply a cause and effect relationship between periodontal disease and cardiovascular disease, or claim that dental treatment may prevent heart attack or stroke are “unwarranted,” at this time, the statement authors said. The American Dental Association Council on Scientific Affairs agrees with the conclusions of this report. The statement has been endorsed by the World Heart Federation. Harvard researchers suggest optimism, happiness and other positive emotions may help protect heart health and lower the risk of heart attacks, strokes and other cardiovascular events. It also appears that these psychological well-being factors slow the progress of cardiovascular disease. The findings are the result of the first and largest systematic review of its kind, and are reported in the 16 April online issue of Psychological Bulletin, by lead author Julia Boehm, a research fellow, and senior author Laura Kubzansky, an associate professor, in the department of society, human development, and health, at the Harvard School of Public Health (HSPH) in Boston, Massachusetts…. The new data collected greatly benefits a field that is still in its scientific infancy and is a significant leap ahead of where the researchers were, even 18 months ago. The findings deepen our understanding of the genetic changes that can lead to heart diseaseand how these can be influenced by our diet and our environment. 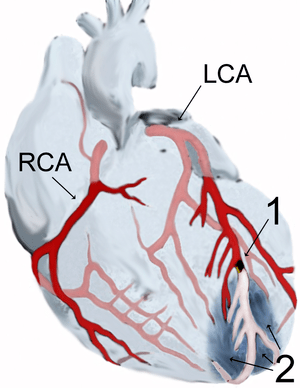 The findings can potentially open new ways of identifying, managing and treating heart disease. 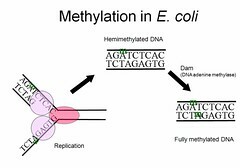 The DNA that makes up our genes is made up of four “bases” or nucleotides – cytosine, guanine, adenine and thymie, often abbreviated to C, G, A and T. DNA methylation is the addition of a methyl group (CH3) to cytosine. The team also identified three main factors that put individuals at a high risk when shoveling snow. The number one factor was gender (31 of the 35 patients were male), the second was a family history of premature coronary artery disease (20 of the 35 patients), and the third was smoking (16 out of 35 patients). The second two factors may carry much more weight than the first, however, since the team could not correct for high rate of snow shoveling among men in their sample. ScienceDaily (July 25, 2011) — Preventing heart disease before it starts is a good long-term investment in the nation’s health, according to a new policy statement from the American Heart Association. Every dollar spent on building trails for walking or biking saves $3 in medical costs. Companies that invest in workers’ health with comprehensive worksite wellness programs and health work environments have less absenteeism, greater productivity and lower healthcare costs. Initiating a nationwide plan to drastically cut the amount of salt in the food supply to support an average intake of 1500 mg per day may reduce high blood pressure in the country by 25 percent, saving $26 billion in healthcare costs annually. As a call to action, the statement puts an equal amount of responsibility on individuals and on society — specifically federal, state and local policy-makers. It’s more difficult to make healthy choices in some neighborhoods because it’s hard to find a safe place to bike or a nearby store with fresh vegetables at an affordable price, he said.